Social Security disability benefits are only paid to a small percentage of claimants. Getting social security payments isn’t just for people who are 62 or older. Social Security is an insurance plan; it is not an entitlement – and you can receive insurance disability benefits if you have a diagnosable mental health condition. It should be simple and straightforward but …. It’s not. On June 8, 1934, President Franklin D. Roosevelt announced his intention to provide a program for Social Security, and the Social Security Act (“Act”) was signed into law on August 14, 1935 (Pub.L. 74-271, 49 Stat. 620, now codified as 42 U.S.C. ch. 7). The original Act provided for benefits for retired people and its purpose was to supplement retirement savings to provide security for Americans who had worked during their adult lives to assist in a comfortable retirement. As early as 1936, discussions began with respect to treating disabled adults in a similar manner to provide some financial security for those who involuntarily could no longer work, but it was not until August 1, 1956 that President Dwight D. Eisenhower signed into law the 1956 Amendments to the Act establishing the Social Security Disability Insurance (“SSDI”) program. On October 30, 1972, President Richard Nixon signed the Social Security Amendments of 1972 which created the Supplemental Security Income (“SSI”) Program to provide security for indigent people who had not paid into the system. 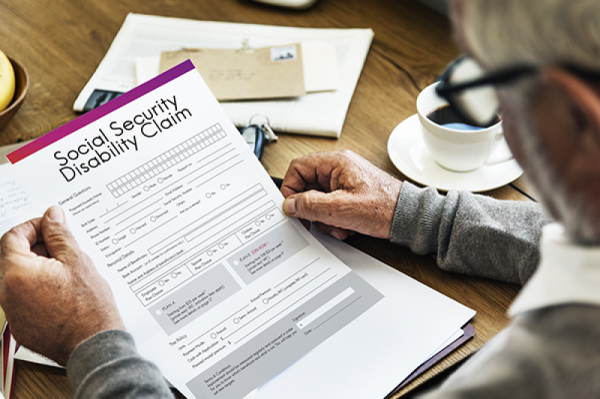 In other words, SSDI (Title II of the Act) is a disability insurance policy for which people pay premiums out of their paychecks and who can qualify for permanent disability if certain criteria are met. SSI (Title XVI of the Act) is a program designed to provide some security for those who have not paid into the system. SSDI is literally an insurance program and the funds are kept in a “lock box.” SSI comes out of the general income tax fund and is a form of welfare. The same criteria for disabling impairments apply to SSDI and SSI when applying for disability benefits. The SSA is “bean counting.” In other words, they deny many claims not on their merits, but with the hope that the claimant will give up. The process for applying for SSDI or SSI benefits is simple and can be done online at www.ssa.gov or in person at your local Social Security Administration (“SSA”) office or at the office of an attorney who specializes in SSDI and SSI cases. Because of the enormous amount of backlogged cases in the United States, most cases are denied at the application stage. If your case is denied, you will have 60 days for the first level of appeal known as “Reconsideration”, where a second set of eyes will look at your claim. Typically, these are also denied and then you have 60 days to file a “Request for Hearing” and you will receive a hearing before an Administrative Law Judge (“ALJ”) approximately 18 – 24 months after the Request for Hearing is received. It is advisable to hire an attorney early in the 60-day period after your initial application is denied. The SSA is “bean counting.” In other words, they deny many claims not on their merits, but with the hope that the claimant will give up. There are several different ways to qualify for these types of benefits, but the impairments must be “medically determinable.” In other words, claimants must have well documented medical records from their psychiatrists and psychologists to have any chance of being awarded benefits. To take that one step further, the SSA and ALJs give very little weight to the opinions of psychologists or other therapists who do not have an M.D. degree; it is the opinions of Board Certified psychiatrists that carry the most weight. Another way to get approved for SSDI or SSI benefits for one or more of the mental disorders is to convince the SSA or your ALJ that the claimant’s mental impairments would prevent the claimant from maintaining regular work attendance or would be off task so much as the result of the impairments that no work in the national economy would be available to the claimant. This is where it is critical that the claimant’s mental health care practitioner has thorough records and also fills out a Mental Residual Functional Capacity Assessment. Of course, the older the claimant and the longer the claimant has worked, especially in one field of expertise, the better the chances of being awarded benefits. For purposes of SSDI and SSI, a claimant approaches advanced age at the age of 50 and becomes of advanced age at 55. If the claimant is younger than 50, skills are considered to be non-transferable, so if the SSA or ALJ determines that the claimant can perform any work in the national economy, then the claimant is considered to be “not disabled.” The SSA and ALJs rely on the expertise of vocational experts to assist in their decisions whether to award benefits because no jobs exist for the claimant or whether jobs do exist for the claimant. The reality is that it is extremely difficult to qualify for benefits because there are over 1,000,000 backlogged cases in the United States. With respect to the amount of benefits, the claimant will receive past due benefits based on the application date and the alleged date of onset of the disability. For SSDI cases, the benefits cannot go back further then 7 months prior to the date of the application. For SSI cases, the date of the application is the earliest date that benefits can begin. It is simple to find out what your benefits will be by simply going to the SSA website at www.ssa.gov and clicking on the circle in the lower left hand corner that states “My Social Security” and opening an account. Also, if a claimant qualifies for SSDI benefits, he or she will be eligible for Medicare two years after the claimant’s onset date. If the claimant has minor children, the minor children are entitled to benefits that are the equivalent of approximately 25% of the claimant’s benefits until they turn 18 years of age. The reality is that it is extremely difficult to qualify for benefits because there are over one million backlogged cases in the United States. Most cases are denied at the initial application stage and then again at Reconsideration and the current win rate nationally is only 45% when the claimant appears before an ALJ at the hearing level. Attorneys fees are limited to 25% of the past due benefits and cap out at $6,000 if the claimant wins at or prior to the hearing level. If further appeals to the Appeals Council and eventually Federal District Court (and potentially beyond) are necessary, attorneys can petition for more fees over $6,000, but never more than 25% of the claimant’s past due benefits. Very few people are familiar with the Title II SSDI program and the Title XVI SSI program. In fact, very few attorneys have expertise in this practice area, but the few who do are very familiar with this niche area of law. This is not like Workers Compensation, State Disability, VA benefits, or long term private disability policies. Winning SSDI or SSI cases is much more difficult than those other programs. It is in a league of its own. When choosing an attorney, choose someone who will be there for you every step of the way. Avoid the national firms who run mills. The smaller firms or solo practitioners will give your case the attention it deserves and increase your chances of winning. Do Smartphones Cause Anxiety And Depression?